The story of the Salty Dawg Rallies starts in the fall of 2011 when a number of boats decided to forgo the Caribbean 1500 event and instead opted to sail south together. Such was the success of the informal non-rally cruise that in the following months the number of interested sailors rose and the Salty Dawg Rally was born. Now in its fifth year, the main bulk of the yachts participating in the rally depart from Hampton, Virginia on November 2nd (weather permitting), making their way south along the US East Coast, with the BVI’s Virgin Gorda as their final destination. Other boats will join along the way as they head to North Sound, where Salty Dawgs will convene to share seafaring yarns, socialize in one of the Caribbean’s most beautiful spots and learn from other seasoned blue water sailors. There are myriad advantages to sailing in the rallies. The position and progress of the participating vessels are monitored, help is at hand should one run into problems and a morning weather briefing by experienced forecaster Chris Parker is a daily feature, providing Salty Dawgs with up-to-date insights into any shift in conditions. Camaraderie is at the heart of the Salty Dawg Rallies, which offer like-minded sailors with blue water experience the opportunity to make new friends, enjoy unforgettable experiences and cruise the crystal clear waters of the Caribbean. Such is the popularity of the event that this year the Fall Rally has an additional “Bequia to North Sound, BVI Rally” passage, which leaves the Grenadines on December 10th. This route was added to accommodate sailors who avoid the hurricane season by mooring in the southern Caribbean, enabling them to enjoy the company of their fellow Salty Dawgs on the voyage north as well as at the final destination. 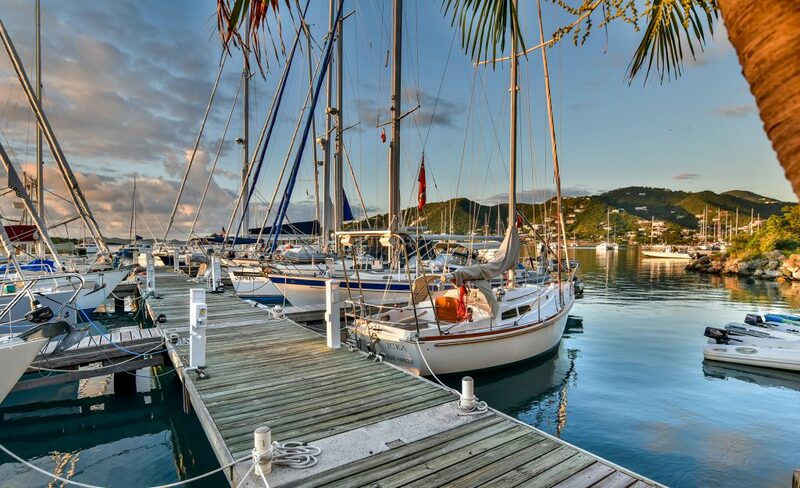 Penn’s Landing is an unusual BVI marina in that it offers year-round on-the-water moorings – even during hurricane season – due to it’s uniquely sheltered location in Fat Hog’s Bay making it an attractive alternative for Salty Dawgs not making the return voyage to the US! With the BVI as the final port of call, the Fall Salty Dawg Rally is almost as much about the destination as it is about the journey. An exciting variety of activities are available on arrival in North Sound, such as morning yoga on the beach; snorkel trips; swimming; movie night; hiking; paddle board expeditions; pizza night and much more. 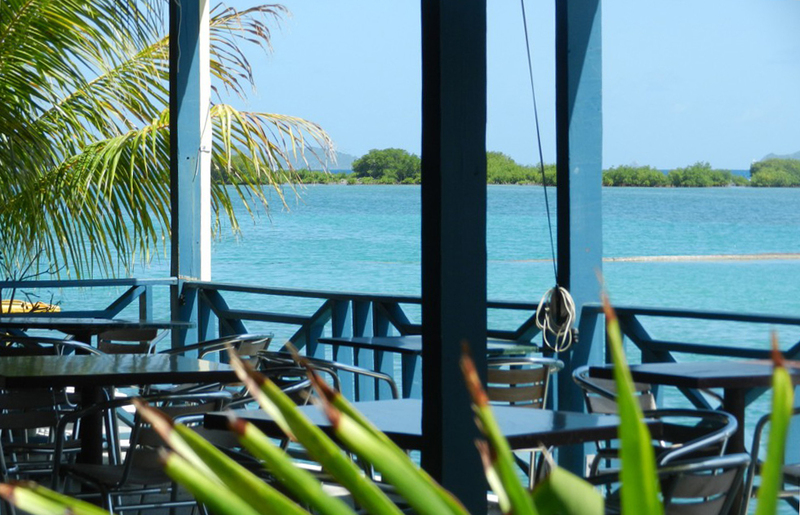 Dinners are organized at a variety of popular BVI restaurants, including the Bitter End Crawl Pub, the Fat Virgin Cafe, Saba Rock and other BVI favorites. The pot luck Thanksgiving on the beach also promises to be a memorable way to celebrate the holiday away from home. Foodies might also want to consider stopping off at Penn’s Landing during their Caribbean trip. Dishes at the Red Rock Restaurant and Bar are first class and the views across the water are second to none. With transient moorings available, a short stop to resupply and try the delicious food couldn’t be simpler! When the excitement of the Fall 2016 Salty Dawg Rally is finally over, Penn’s Landing Marina offers safe, secure moorings for sailors who wish to leave their yachts in the Caribbean. With a weekly boat inspection and a full range of general maintenance services, from basic upkeep to repairs and improvements, Penn’s Landing is an ideal choice for Salty Dawgs in search of a secure winter mooring in the heart of the Caribbean.